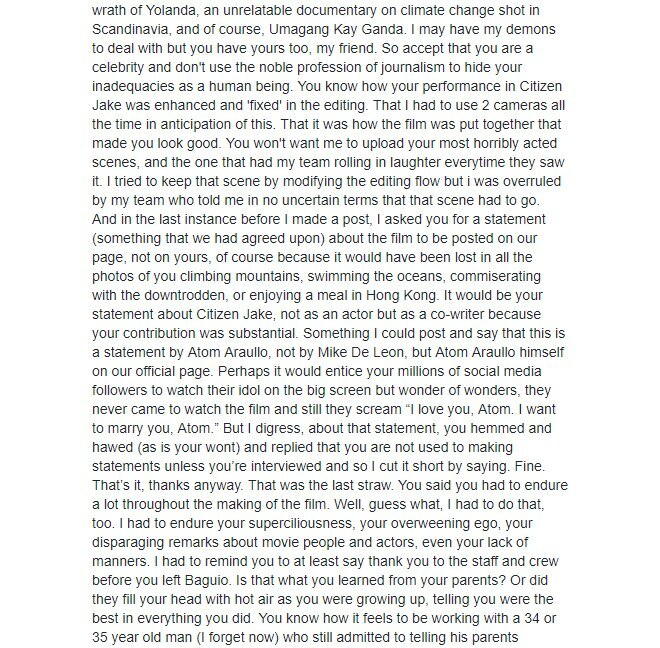 Mike de Leon replies to Atom Araullo’s statement about him. 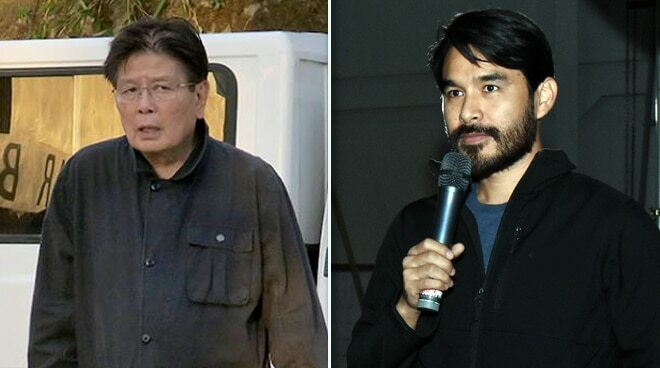 Mike de Leon did not mince his words when he replied to Atom Araullo’s latest statement regarding his previous “tirades” against the latter. The two worked together in De Leon’s latest film Citizen Jake. 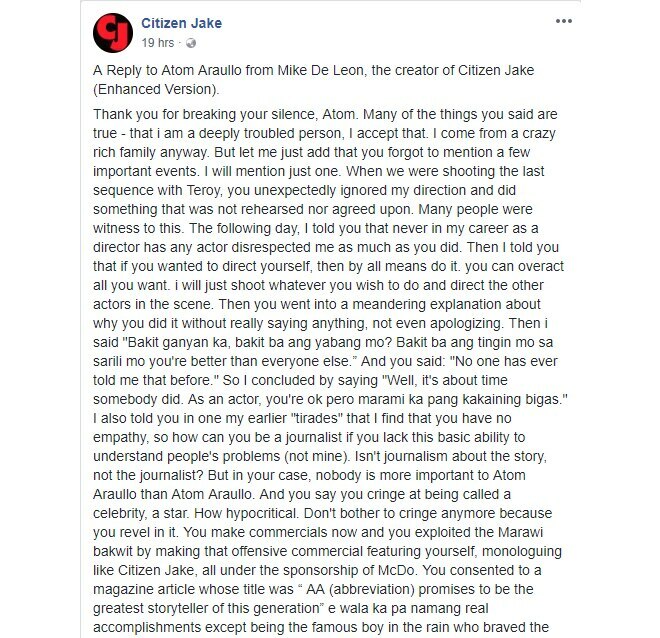 After Atom said that De Leon was battling with his own demons, the veteran director admitted to this but said that he had problems with Atom who “disrespected” him. "Many of the things you said are true—that I am a deeply troubled person, I accept that. I come from a crazy rich family anyway," he wrote in a lengthy Facebook post. “I told you that never in my career as a director has any actor disrespected me as much as you did. Then I told you that if you wanted to direct yourself, then, by all means, do it," he added. Mike also pointed out how “narcissistic” and “hypocritical” the journalist-turned-actor was. "And you say you cringe at being called a celebrity, a star. How hypocritical. Don't bother to cringe anymore because you revel in it. "So accept that you are a celebrity and don't use the noble profession of journalism to hide your inadequacies as a human being. "I also told you in one my earlier 'tirades' that I find that you have no empathy, so how can you be a journalist if you lack this basic ability to understand people's problems (not mine). Isn't journalism about the story, not the journalist?" He also pointed out how bad an actor Atom was. Atom has not yet responded to his long post.